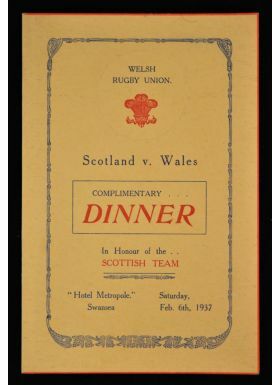 Scarce 1937 Wales v Scotland Rugby International Dinner Menu: Foldover card with decorative cover from the after-match dinner for the Wales v Scotland clash of February 1937. 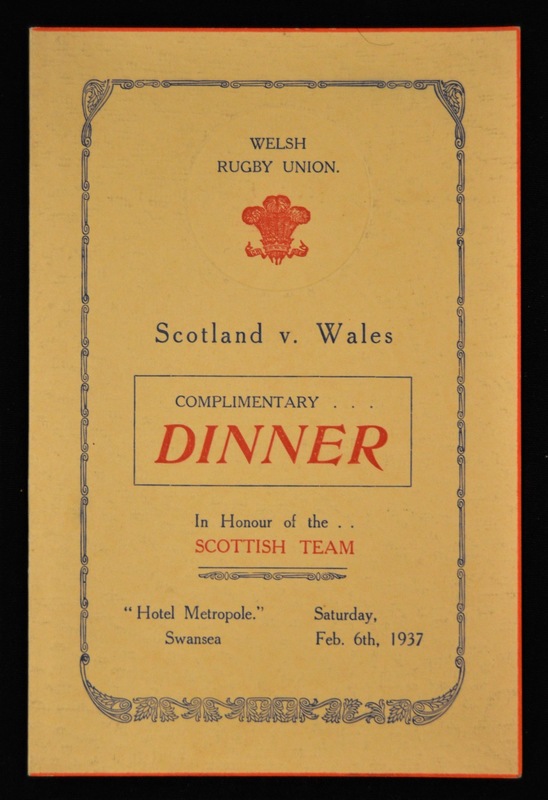 The Metropole Hotel Swansea was the venue. Very good condition for age.